If you are thinking of moving to France you will need to make payments in another currency. You might need to pay an overseas mortgage or deal with bills in euros. If you live permanently in France you might want to repatriate your UK pension or if you are working in France you might need to transfer part of your income to UK to cover bills or send money to family. Currency brokers like Moneycorp can save you hundreds of pounds on your money transfers compared to your bank. They have been helping their clients for over 30 years to better manage their foreign currency and international payment needs. 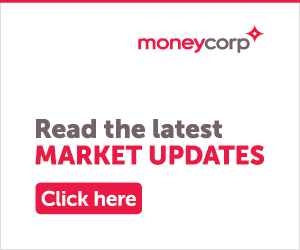 Moneycorp has listed below five reasons to use a currency broker – whether you’re looking to buy or sell a property overseas, topping up your French Account or you simply want to send money to and from France. Currency exchange is complicated, and the last thing you want it to do is stand between you and your payment plans. Brokers can help clients successfully navigate what is a niche and often confusing process step by step. Is it a good time to buy currency? Will it get better if you wait? These are important questions, and a broker’s focus on foreign exchange means they’re better placed to answer them than your local bank manager. Brokers offer products like forward contracts that will help protect you against adverse currency movements and can be used to lock into favourable exchange rates, whereas some banks don’t offer these products. Whether you need your currency on the same day, or you have the time to target an exchange rate that maximizes your budget, a broker has the tools available to help. Market orders can be used to target and capture specific rates, and regular payment plans take the stress out of monthly transfers. Price comparisons show that brokers offer a 3-4% saving against the high-street banks. That’s approximately around £8,000 on a £250,000 transaction, so if the four reasons above aren’t convincing enough, then number 5 should be a good reason to use a broker all by itself.